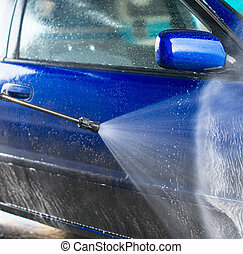 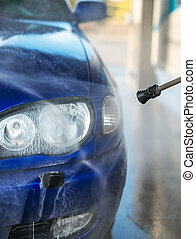 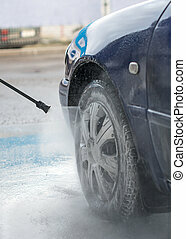 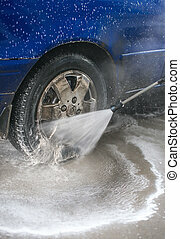 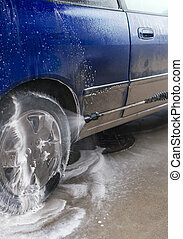 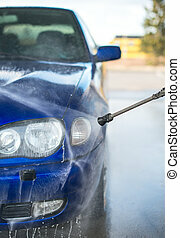 Blue car wash using high pressure water jet. 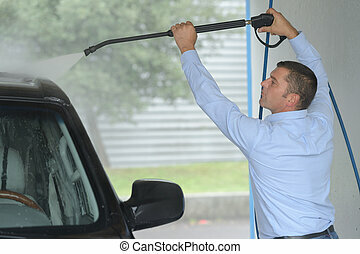 car wash using high-pressure water contactless manner inside the room. 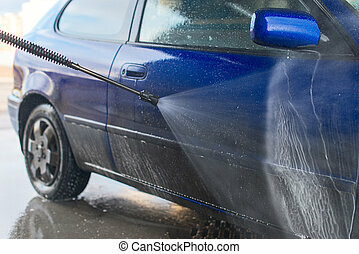 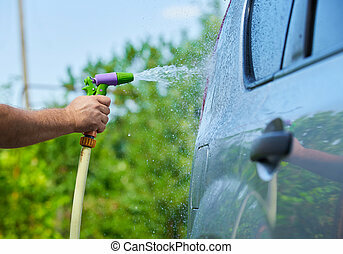 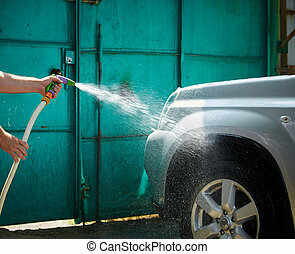 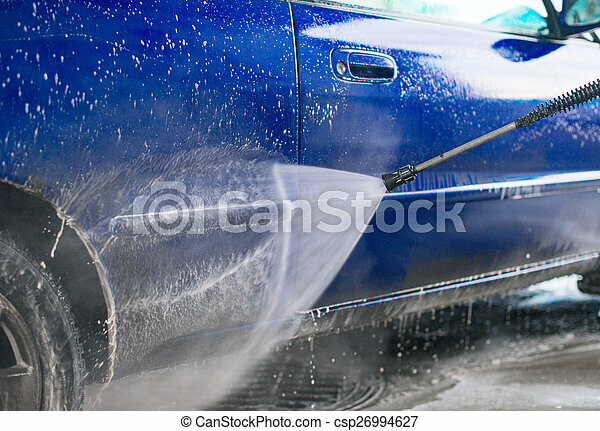 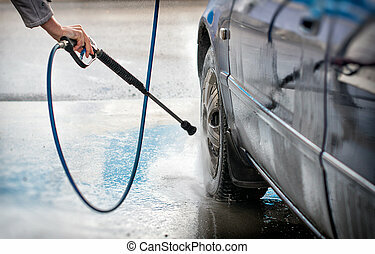 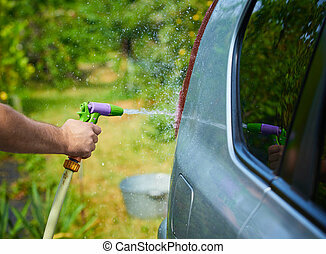 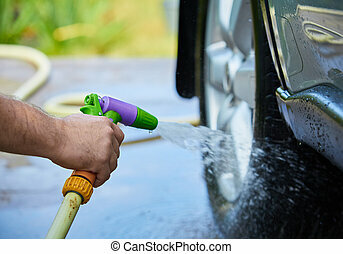 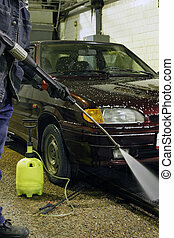 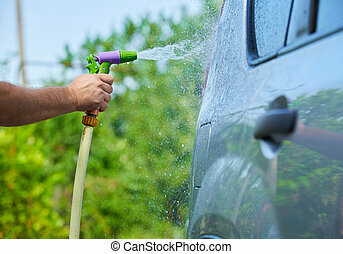 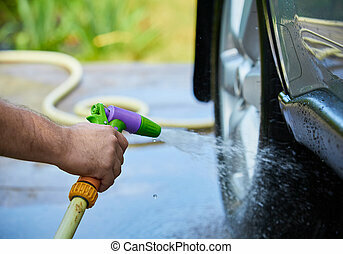 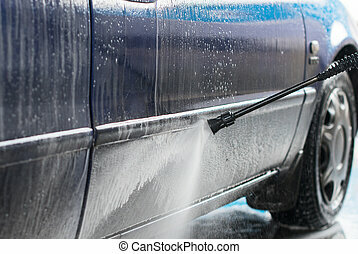 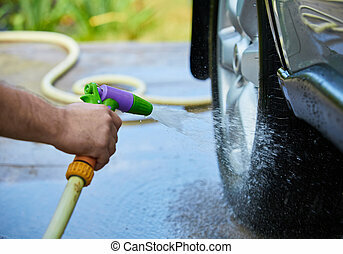 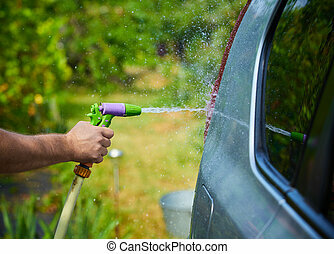 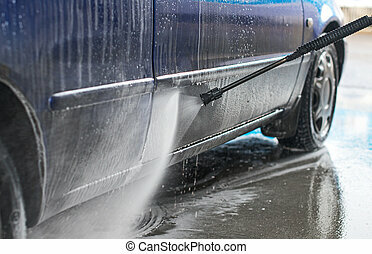 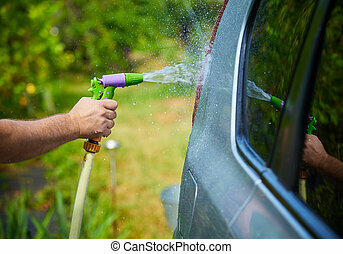 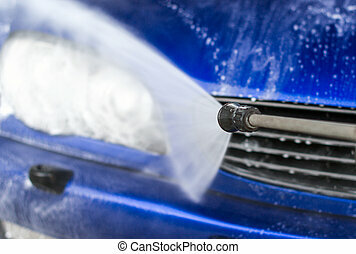 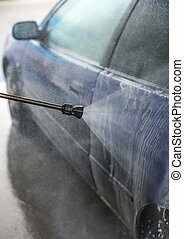 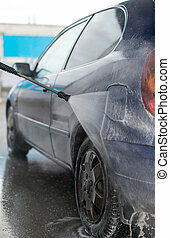 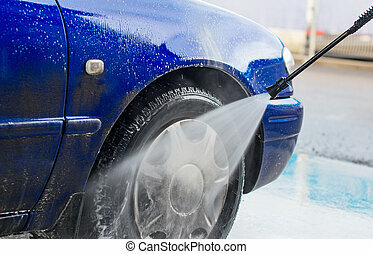 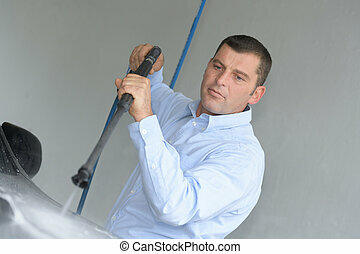 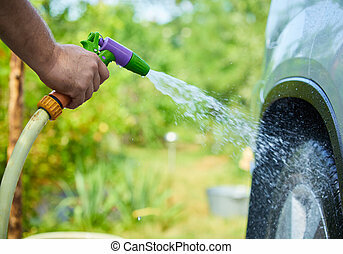 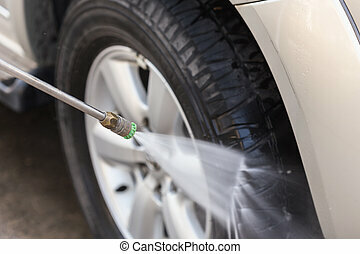 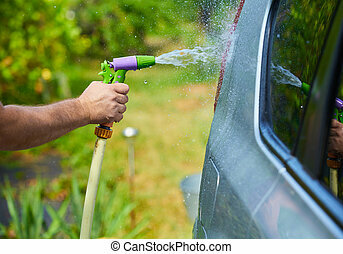 People cleaning car using high pressure water.